Where did all the picture books with strong female characters go? I seem to spend half my life fighting off Peppa Pig or Frozen inspired picture books. And finding it hard to ‘let it go’. When my little lady was still wrapped up snug in my belly, I read her a page a night from a Roald Dahl book. I love Roald Dahl and the way his characters are individual, headstrong, frequently irreverent and always with an eye on what’s just and right. There’s always a message there. Check out The Magic Finger, for a strong female character who is vehemently anti hunting at 8 years old! My daughter loves it. 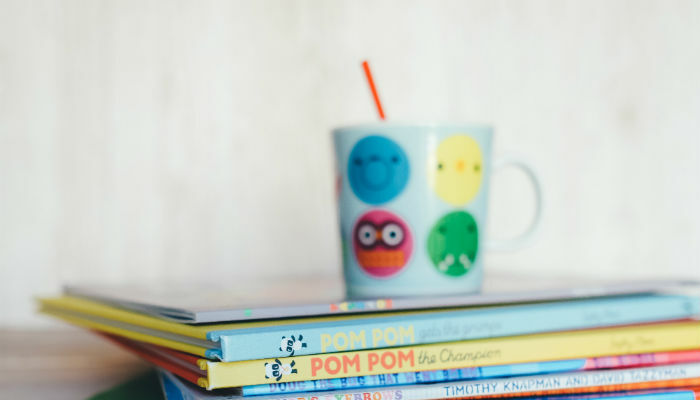 So, if like me, you want to add a bit of girl power to your picture books, I recommend you take a look at some of the 16 picture books with strong female characters below (or if your child is between 6 and 9, try these). 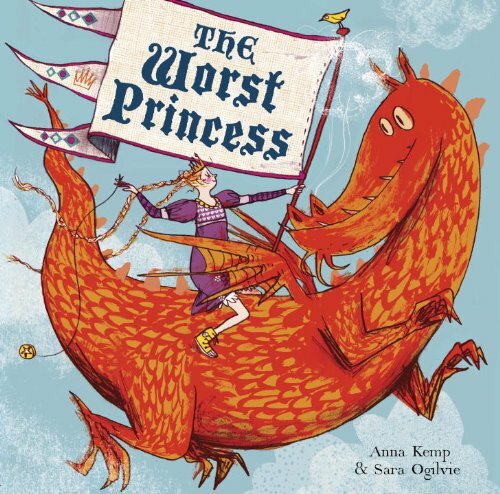 In the same irreverent vein as Robert Munch’s The Paperbag Princess, The Worst Princess tells the tale of Sue, a less than compliant princess who is non too taken with her traditional Prince Charming. Join Princess Sue and her fiery dragon side kick, as she turns the traditional fairy tale princess on its head and embarks on an adventure to get the fairy tale ending she wants. Roald Dahl’s school reports suggested he had few original ideas and couldn’t write. Fortunately for Matilda (and us) he took no notice. Matilda’s parents called her some terrible things, but the truth is she’s a genius and they’re the stupid ones. 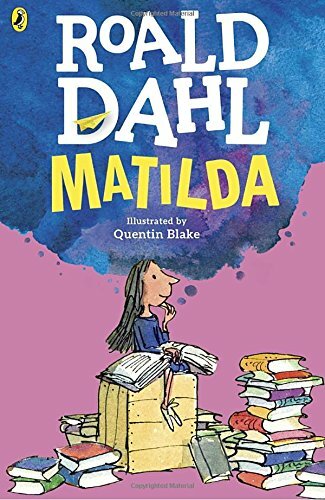 Underestimating Matilda proves to be a huge mistake as they and her spiteful headmistress, Miss Trunchbull, soon find out when Matilda discovers she has a very special power indeed. Absolute genius. The film version is a classic too. I defy anyone with a heart not to fall in love with both Matilda and Miss Honey! Something is not right with little Madeline. Her friends are sad when she goes to hospital to have her appendix removed. But they cheer up when see her impressive scar! The small but feisty heroine, Madeline, and her charming Parisian world have been loved by children and adults alike for seventy years. 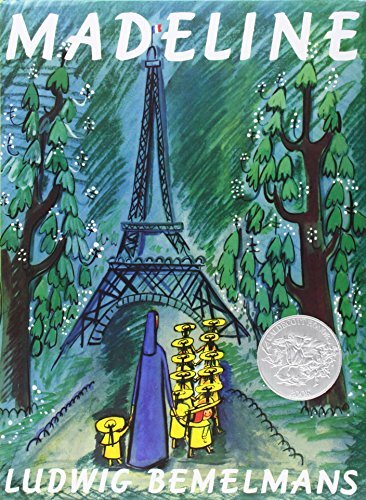 A rhyming book with lovely drawings of Paris, it’s difficult not to fall in love with Madeline and revel in her delightful hair-raising scrapes. Isabella’s favourite heroines include U.S. Astronaut Sally Ride, activist Rosa Parks, and sharpshooter Annie Oakley – but there’s no bigger hero than Isabella’s own mum! What’s more, Isabella finds out how imagining to be these extraordinary women teaches her the importance of being her own extraordinary self. 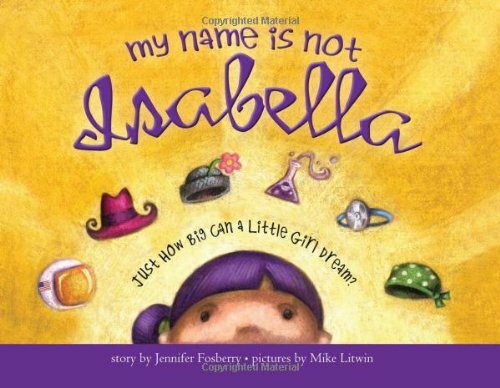 As well as introducing children to some great women from history, My Name is Not Isabella is a wonderful adventure of self-discovery that teaches kids the importance of embracing who they are. A friend bought Wild as a gift for my little lady and it immediately captured her imagination. 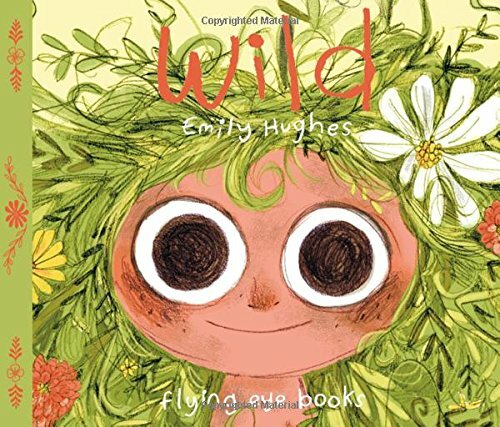 Written and illustrated by Hawaiian artist Emily Hughes, Wild relates the tale of a little girl who has known nothing but nature from birth. Taught to talk by birds, to eat by bears, and to play by foxes, she is unashamedly wild! Until she is captured and civilisation tries to tame her. A lovely, quirky book with highly original illustrations about how it’s important to be who we really are. 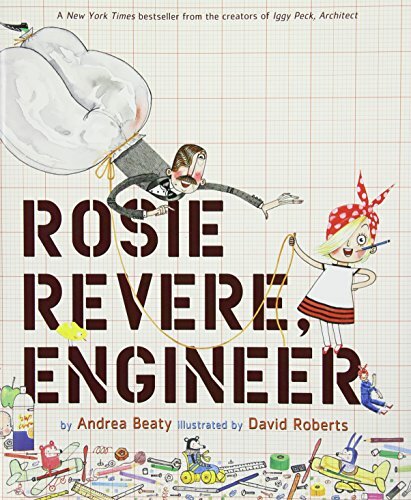 Rosie Revere is a brilliant inventor of gizmos and gadgets who dreams of becoming a great engineer. When her Great Great Aunt Rose (Rosie the Riveter) comes for a visit and mentions her one unfinished goal – to fly – Rosie sets to work building a contraption to make her aunt’s dream come true. I’m always telling my little lady not to shy away from mistakes and failure, as it’s often how we learn – and Rosie Revere shows us this and more – and ultimately that you only truly fail when you quit. Never underestimate a child’s imagination. And in my view, don’t ever quash it! It’s their God given, unique form of expression and we should cultivate it. Grace has a big imagination and she simply loves stories. Doesn’t really matter where they come from – whether it’s books, movies, or the kind her grandmother tells. So when she gets a chance to play a part in Peter Pan, guess who Grace wants to be? 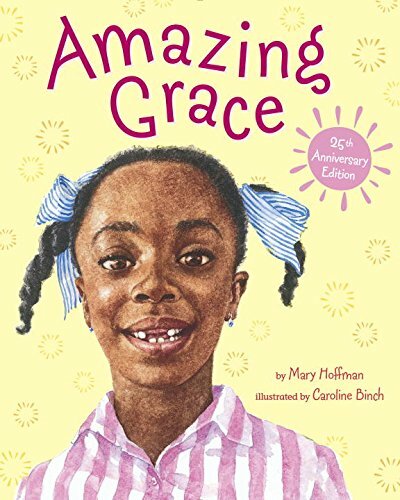 Beautifully illustrated, Amazing Grace has passion and imagination in spades and reminds us all that we can ‘be anything we can imagine’. My little lady loved this from an early age and still does. Is it possible to eat snowballs doused in ketchup and nothing else? All winter?! Can a washing machine wash dishes? Find out in this book! By reading the step-by-step instructions, kids can discover the answers to these and other quirky experiments. 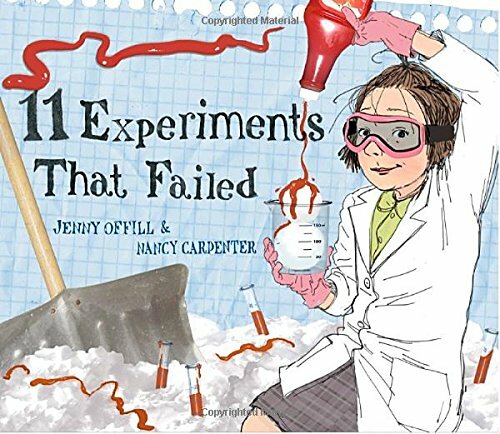 Fun, funny and irreverent, this book also reaches an underlying valuable lesson – it’s ok to have fun and experiment, even if it goes wrong! Robert Munsch is a fascinating man and a great storyteller. 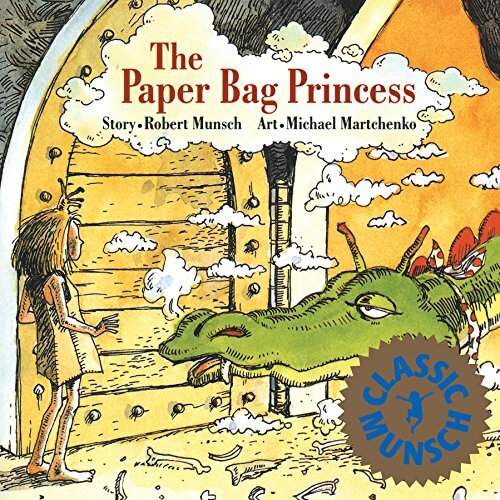 In his bestselling modern classic, The Paper Bag Princess, Princess Elizabeth is slated to marry Prince Ronald when a dragon attacks the castle and kidnaps Ronald. In resourceful and humorous fashion, Elizabeth finds the dragon, outsmarts him, and rescues Ronald—who is less than pleased at her un-princess-like appearance! Another great antidote to the traditional princess story. For more classic Munsch, check out Love You Forever (seriously though, you might need a box of tissues:)). At the edge of town lives a clever girl with a spooky problem. Her house is haunted! Luckily, she happens to be a witch and knows a little something about taking care of ghosts. She catches them, puts them in the washing machine, airs them out to dry, and gives them new lives as sofa covers, table cloths and bed sheets! Kids love to be scared (but not too much!) 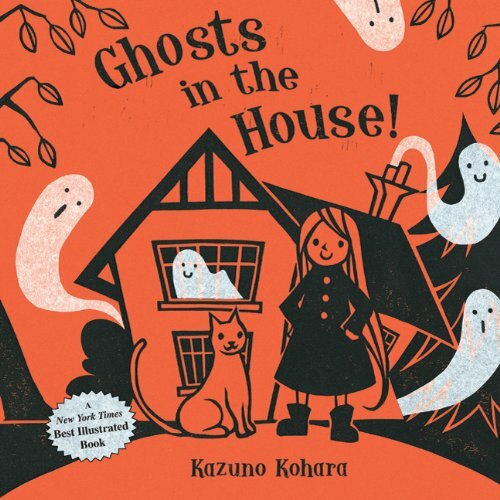 so what I love about this book is it’s ability to conjure up a few shrieks, as well as some smiles. Tommy and his sister Annika have a new neighbor, and her name is Pippi Longstocking. Pippi sports crazy red pigtails, no parents to tell her what to do, a horse that lives on her porch, and a flair for the outrageous that seems to lead to one adventure after another! 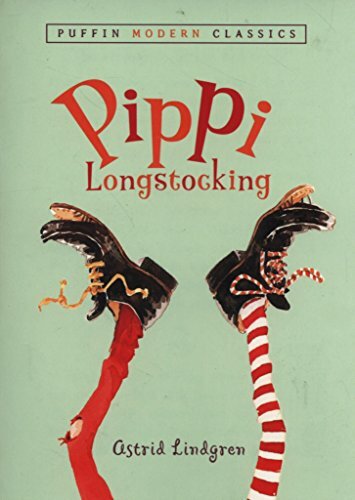 Astrid Lindgren created the character of Pippi Longstocking to entertain her daughter and it has deservedly ended up a true classic with its spunky heroine and series of hilarious escapades. Check out the whole Pippi Longstocking series. 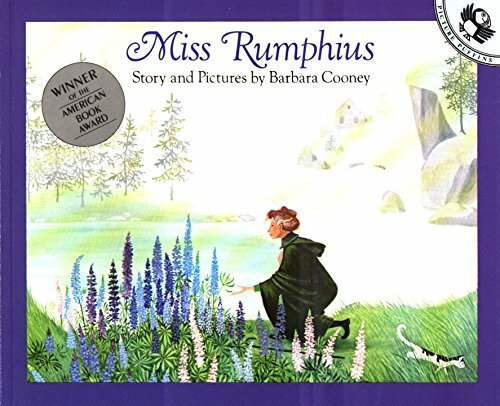 30 years old and still going strong, Barbara Cooney’s Alice Rumphius is the tale of a lady who longed to travel the world, live in a house by the sea, and do something to make the world more beautiful. A lovely story that shows your little one they too can choose to follow their hearts and make the world a more beautiful place. I also love the fact that the late Barbara Cooney herself did indeed travel the world and live in a house by the sea, in Maine. I stumbled across Neil Gaiman’s Blueberry Girl in the local library and read it to my daughter on the library floor. Much to my little lady’s horror, 3 minutes later I was crying. 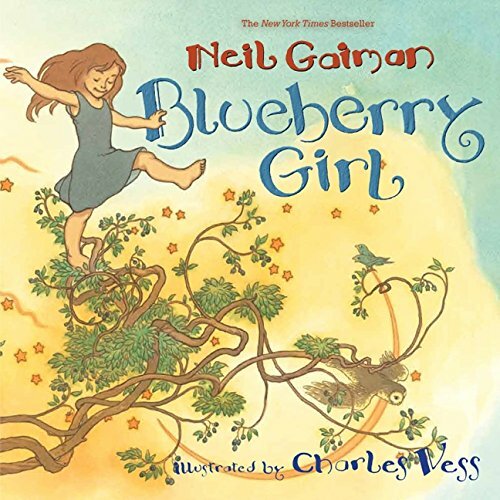 Bestselling author Neil Gaiman is well known for his graphic novels and fiction, but lesser known for his ‘prayer to the Blueberry Girl’, which he wrote for a friend who was about to become the mother of a little girl. Simple and powerful, Blueberry Girl is a beautiful ode to growing up and all the things we all hope for for our daughters. Simply lovely. I’m always telling my little lady to question things, to run what people tell her through her own brain, not just accept everything at face value. 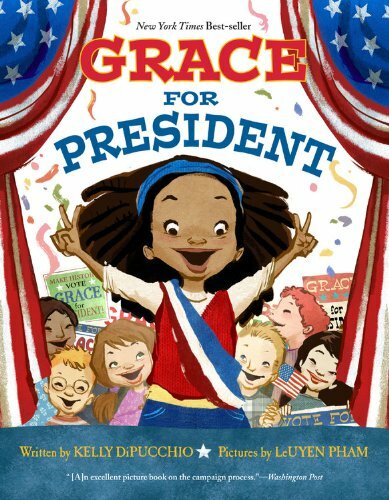 In Grace For President, Grace does exactly this, as when her teacher announces there has never been a female president, Grace decides she’ll be the first in the school’s mock election. Whether or not you live in the US, this is a great book with a universal message, which teaches children the value of hard work, courage, and independent thought. Who said vehicles are just for boys? 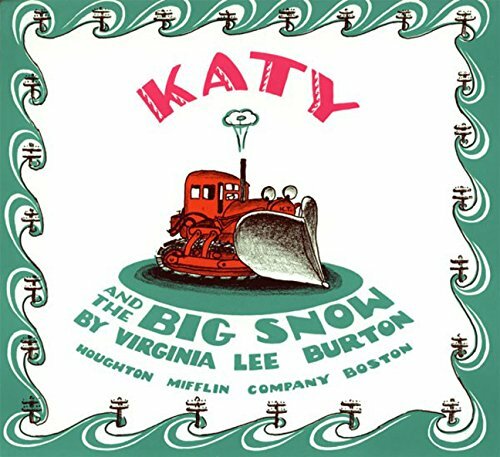 Certainly not author Virginia Lee Burton, who penned the ever determined Katy – a brave and committed tractor, who pushes a bulldozer in the summer and a snowplow in the winter. Katy waits an age to be useful in winter, as there is never enough snow for her to be really useful. Until, that is, the biggest snow fall ever visits. Full of back to basic traditional values often missing from much of the kids’ media onslaught today, Katy and the Big Snow teaches the value of community, as well as determination and hard work. It’s difficult not to love this little feminist in the making! My little lady is very just. She was most incensed when the boys starting singing ‘girls in the bin, boys win’ at 4 years old, so I think she may like Rosa Parks. 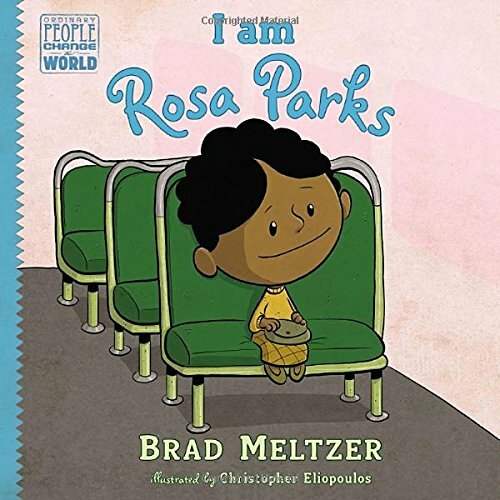 I Am Rosa Parks by New York Times bestselling author Brad Meltzer is part of the Ordinary People Can Change the World series and it shows children how we can all be heroes in our own way. Through his simple, fun approach to biography, Seltzer’s books focus on a particular character trait that made role models such as Rosa Parks and Ameliea Earhart heroic. Do you have a favourite picture books featuring a strong female character?